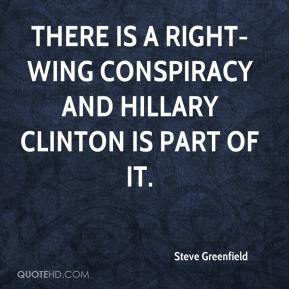 There is a right-wing conspiracy and Hillary Clinton is part of it. He'll provide an excellent challenge to Hillary Clinton. 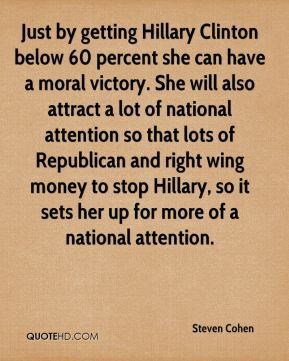 Just by getting Hillary Clinton below 60 percent she can have a moral victory. 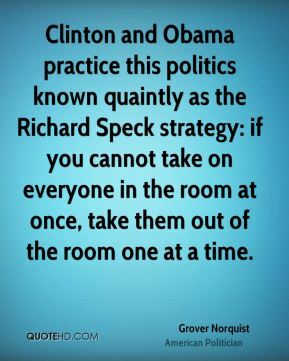 She will also attract a lot of national attention so that lots of Republican and right wing money to stop Hillary, so it sets her up for more of a national attention. 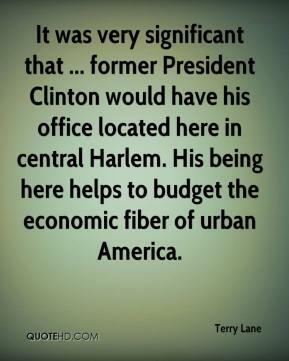 It was very significant that ... former President Clinton would have his office located here in central Harlem. His being here helps to budget the economic fiber of urban America. 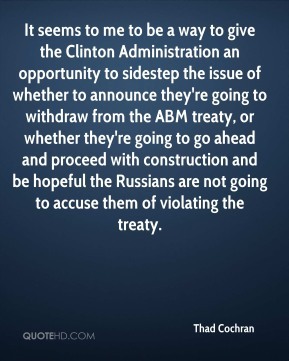 It seems to me to be a way to give the Clinton Administration an opportunity to sidestep the issue of whether to announce they're going to withdraw from the ABM treaty, or whether they're going to go ahead and proceed with construction and be hopeful the Russians are not going to accuse them of violating the treaty. 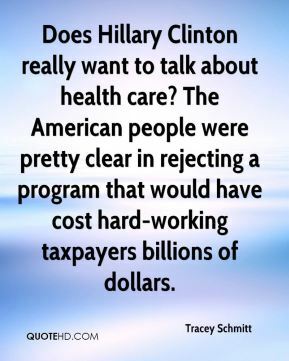 Does Hillary Clinton really want to talk about health care? The American people were pretty clear in rejecting a program that would have cost hard-working taxpayers billions of dollars. 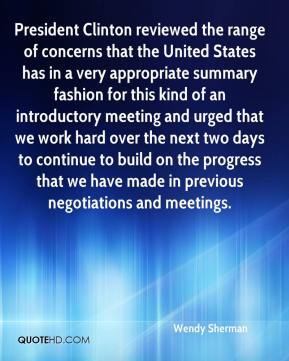 President Clinton reviewed the range of concerns that the United States has in a very appropriate summary fashion for this kind of an introductory meeting and urged that we work hard over the next two days to continue to build on the progress that we have made in previous negotiations and meetings. 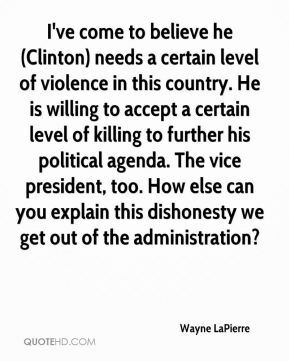 I've come to believe he (Clinton) needs a certain level of violence in this country. 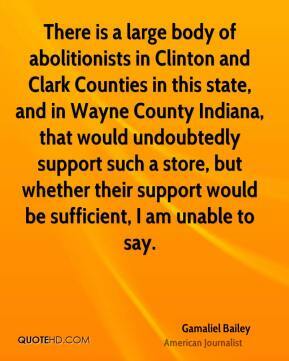 He is willing to accept a certain level of killing to further his political agenda. The vice president, too. How else can you explain this dishonesty we get out of the administration? 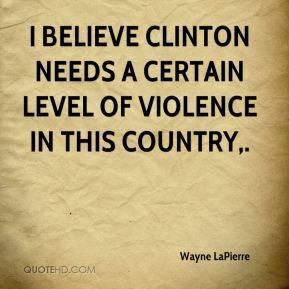 I believe Clinton needs a certain level of violence in this country. 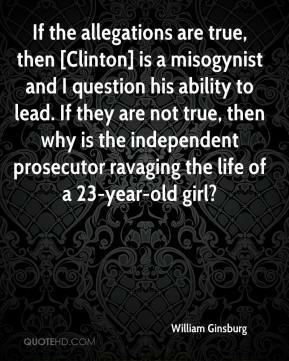 If the allegations are true, then [Clinton] is a misogynist and I question his ability to lead. If they are not true, then why is the independent prosecutor ravaging the life of a 23-year-old girl? 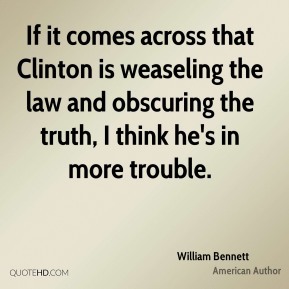 If it comes across that Clinton is weaseling the law and obscuring the truth, I think he's in more trouble. 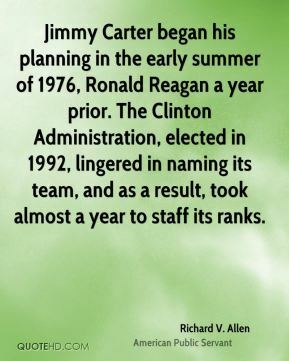 Jimmy Carter began his planning in the early summer of 1976, Ronald Reagan a year prior. 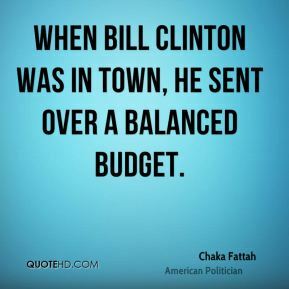 The Clinton Administration, elected in 1992, lingered in naming its team, and as a result, took almost a year to staff its ranks. 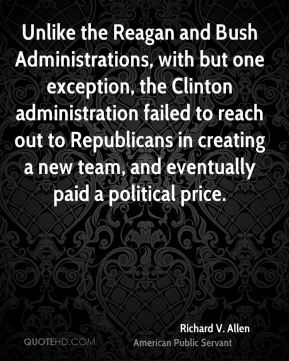 Unlike the Reagan and Bush Administrations, with but one exception, the Clinton administration failed to reach out to Republicans in creating a new team, and eventually paid a political price. Presidents with strong nerves are decisive. They don't balk at unpopular decisions. They are willing to make people angry. Bush had strong nerves. Clinton, who passed up a chance to eliminate Osama bin Laden, did not. 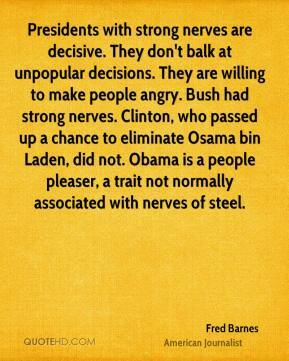 Obama is a people pleaser, a trait not normally associated with nerves of steel. 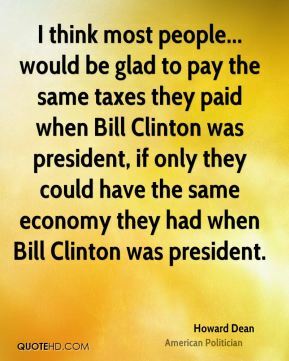 I think most people... would be glad to pay the same taxes they paid when Bill Clinton was president, if only they could have the same economy they had when Bill Clinton was president. I've had some wonderful times at the White House. I've been with Ford, Carter, Reagan, Clinton and Bush. If we're talking about masculinity and tenderness, I don't look at Clinton. 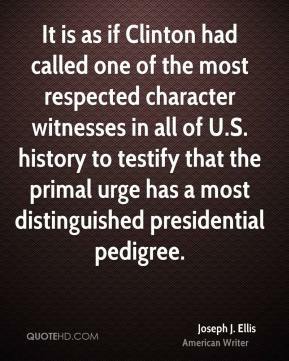 It is as if Clinton had called one of the most respected character witnesses in all of U.S. history to testify that the primal urge has a most distinguished presidential pedigree. The Democratic chairman doesn't need to be a household name. 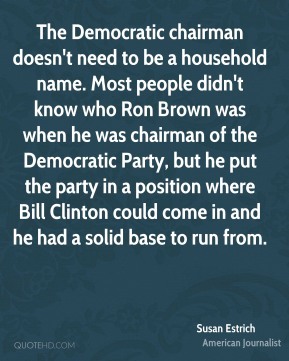 Most people didn't know who Ron Brown was when he was chairman of the Democratic Party, but he put the party in a position where Bill Clinton could come in and he had a solid base to run from. War is something Arafat sends others to do for him. That is, the poor souls who believe in him. 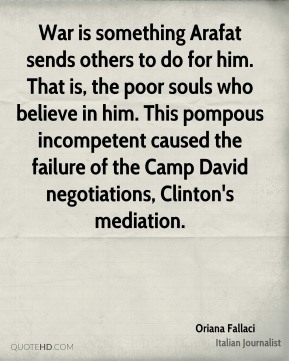 This pompous incompetent caused the failure of the Camp David negotiations, Clinton's mediation.